Vinyl: Used for maximum quality and high tolerance to pasteurisation, chill freezer and fridge. We recommend the use of the Gloss White Vinyl S277, 25mm x 101mm. 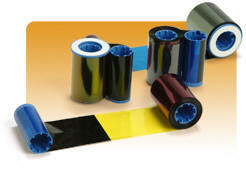 We can supply vinyl labels directly. Any quantity - due to the fact that we buy in very large quantities we can offer them at a discounted price. The more you all buy the lower we can get the price so lets work together with this! 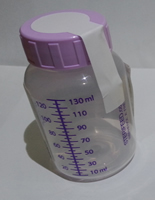 These paper labels are applied to the bottle tops to provide a clear indication if the the bottle tops are opened. 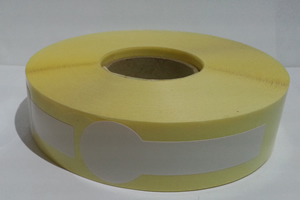 Note: The 2844 ribbon should last for about 1,000 labels and can be used in the 2742 printer also. The ribbons for the 2742 are to be discontinued soon and we have stopped ordering stock. 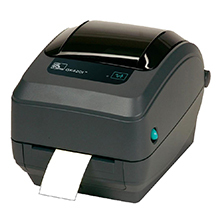 We can supply the recommended printers for EDM2000. These are industrial grade units and will give years of trouble free service. Please ask for quote on other times, quantities and destinations. *Prices vary depending on quantity and distance - prices available upon application. NB: Due to continued price increases in shipping costs this price will not be held and is due to reviewed on a monthly basis. Please ensure you check the current cost before ordering.